40 high school bands from Kansas, Iowa, Missouri, and Nebraska including the Salina South High School band, are participating this Saturday in the Central States Marching Festival at Kansas State University. Organizers say the festival is one of the premier marching band festivals in the region. Participating bands have the opportunity to take part in clinics with members of the Kansas State University Marching Band staff and present a field performance that will be judged by a panel of nationally recognized marching band authorities. The bands then receive individual clinics with members of the video critique panel after their field performances and obtain a rating of superior, excellent or good by class with accompanying awards. The critiques emphasize the positive aspects of each band’s show. The categories used in judging include repertoire, performance, coordination, auxiliaries and music. Band clinics will begin at 9 a.m. at the indoor football facility and Memorial Stadium. Field performances start at 11:45 a.m. at Bill Snyder Family Stadium and will run throughout the day and evening, capped off with a performance by the Kansas State University Marching Band, the Pride of Wildcat Land. Special guest at this year’s festival will be BandDirector.com with Dave Knox. Judges include David Betancourt, director of bands at Cerritos College; Larry Blocher, director of the School of Music at Troy University; David Montgomery, associate professor of music education at Baylor University; and James Oliver, retired band director from Kansas City. Judges from Kansas State University include Phil Payne, chair of the music education division for the School of Music, Theatre, and Dance; Brandon Adams, percussion graduate assistant with the Kansas State University Marching Band; and Spencer Smith, color guard instructor and designer with the Kansas State University Marching Band. The following schools are taking part in this year’s Central States Marching Band Festival. Northern Heights High School, Allen; Andover High School, Andover; Arkansas City High School, Arkansas City; Basehor-Linwood High School, Basehor; De Soto High School, De Soto; Dighton High School, Dighton; Dodge City High School, Dodge City; Garden City High School, Garden City. 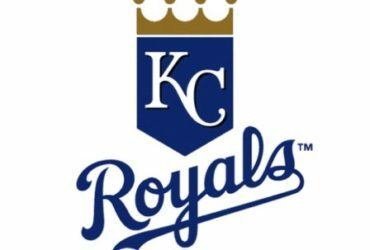 From Greater Kansas City: Olathe West High School, Olathe; Blue Valley North High School, Blue Valley Northwest High School, Shawnee Mission East High School, Shawnee Mission West High School and St. Thomas Aquinas High School, all in Overland Park; and Mill Valley High School, Shawnee. Hiawatha High School, Hiawatha; Holton High School, Holton; Hutchinson High School, Hutchinson; Independence High School, Independence; Junction City High School, Junction City; Turner Higher School, Kansas City; Lansing High School, Lansing; Leavenworth High School, Leavenworth; Liberal High School, Liberal; Louisburg High School, Louisburg; Maize High School, Maize; Manhattan High School, Manhattan; McPherson High School, McPherson; Rose Hill High School, Rose Hill; Salina South High School, Salina; Shawnee Heights High School, Tecumseh; Seaman High School, Topeka; and Wichita East High School and Wichita North High School, both in Wichita. From out of state: Thomas Jefferson High School, Council Bluffs, Iowa; Center High School, Kansas City, Missouri; Raytown South High School, Raytown, Missouri; West Platte High School, Weston, Missouri; and Lincoln Southwest High School, Lincoln, Nebraska. 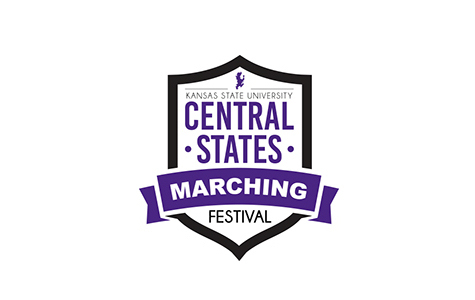 For a for a full schedule on clinic and performance times, visitk-state.edu/band/festivals/csmf.html.